The next NSW state election will be held on 28 March 2015. 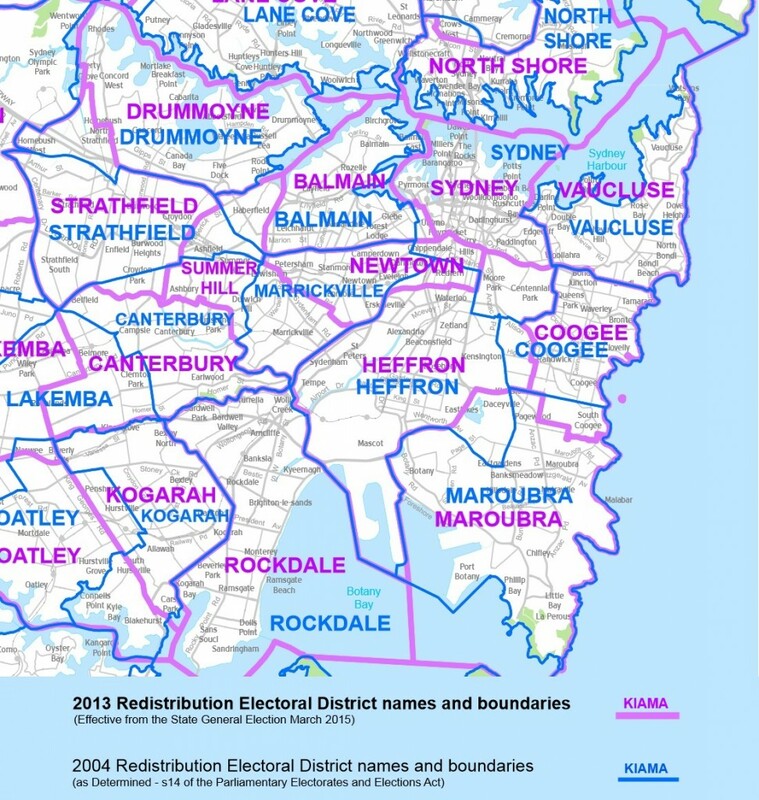 After every two elections the NSW Constitution Act requires boundaries to be reassessed to ensure that the population of all electorates are within 10% of an average electorate size. In 2014 the Commissioners found that the trend of continued declining enrolment in the western regions of the State, combined with growth in metropolitan inner Sydney warranted abolition of one rural electorate, Murrumbidgee, and the creation of a new electorate, Newtown. Growth in Inner Sydney has seen major boundary changes in all electorates other than Vaucluse in this area. To help give a picture of the changing electorates in the inner city we have provided the map showing previous (2004) boundaries in blue and the new (2015) boundaries in purple.